Aviation Updates Philippines - ​The Philippines' leading carrier, Cebu Pacific (PSE: CEB), signed a forward sale agreement with a subsidiary of Allegiant Travel Company (NASDAQ: ALGT), covering Cebu Pacific's sale of four Airbus A319 aircraft. Allegiant is the parent company of Las Vegas-based low-cost airline, Allegiant Air. Delivery of the four aircraft to Allegiant is scheduled from 2017 to 2018. "As we aim to expand our operations both in the Philippines and abroad, we remain invested in upgrading our fleet with fuel efficient, versatile aircraft. Between 2016 and 2021, we are anticipating the delivery of 30 Airbus A321neos, for long-range capability, and 16 ATR 72-600 turboprop planes, for better inter-island connectivity," says CEB President and CEO Lance Gokongwei. CEB currently operates one of the most modern fleets in the world, with an average age of 4.82 years. Its 57-strong fleet is comprised of 7 Airbus A319, 36 Airbus A320, 6 Airbus A330, and 8 ATR 72-500 aircraft. As part of its fleet renewal program, CEB will be taking delivery of 30 brand-new Airbus A321neo aircraft, the largest model in the A320neo series. The A321neo incorporates new engines and wing-tip devices called Sharklets, which could deliver fuel savings of 20 percent and additional payload or range capability. The aircraft has a flying radius of over 6 hours and can be configured to have up to 240 seats, allowing CEB to access new markets in the Indian subcontinent and Australia. CEB also ordered 16 ATR 72-600 turboprop aircraft, to meet increasing demand in the Philippines for inter-island services. The ATR planes enjoy a high reputation not only for versatility but also for their ability to operate on short runways. 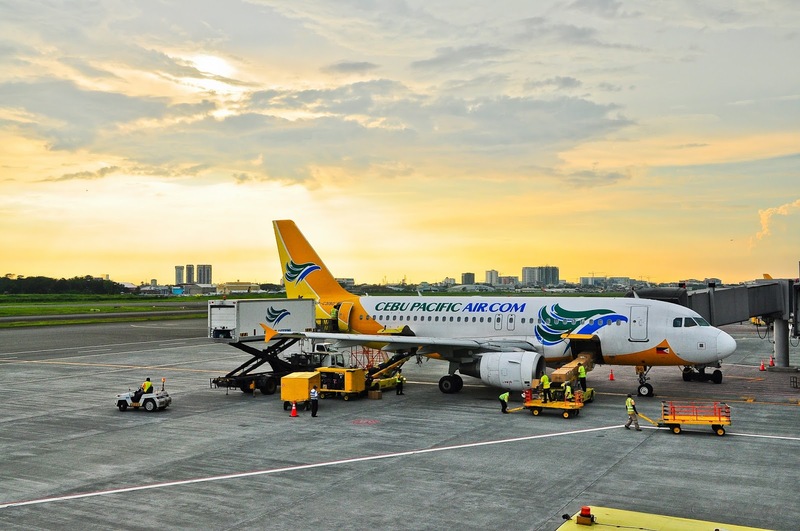 These planes will enable CEB to expand its operations on several smaller airports in its home country, and to contribute to the development of regional transport, trade, and tourism. Speaking on the agreement, Jude Bricker, Allegiant Travel Company Chief Operating Officer, remarks: "By the end of 2016, Allegiant will be a majority Airbus carrier, as measured by available seat miles. This agreement to purchase additional aircraft from Cebu Pacific is an important step in our long-term transition to a single fleet type." Allegiant previously agreed to purchase six Airbus A319 aircraft from CEB, with three remaining deliveries scheduled to occur later this year. The younger A320 family aircraft will help Allegiant to increase operational efficiency in the coming years. The enhanced operating economics of the aircraft will also open up new growth opportunities for the company by making longer routes and off-peak flying profitable. CEB offers flights to an extensive network of more than 90 routes on 64 destinations, spanning Asia, Australia, the Middle East, and USA. Las Vegas-based Allegiant (NASDAQ: ALGT) is focused on linking travelers in small cities to world-class leisure destinations. The airline offers industry-low fares on an all-jet fleet while also offering other travel-related products such as hotel rooms, rental cars and attraction tickets. All can be purchased only through the company website, Allegiant.com. Beginning with one aircraft and one route in 1999, the company has grown to over 80 aircraft and more than 300 routes across the country with base airfares less than half the cost of the average domestic roundtrip ticket. For downloadable press kit, including photos, visit:http://gofly.us/YFuyb. Was nice to know about this deal for the purchase of aircraft to increase their current fleets of aircraft. Looking forward to reading more such latest aviation news posts from you in the future. Thanks!